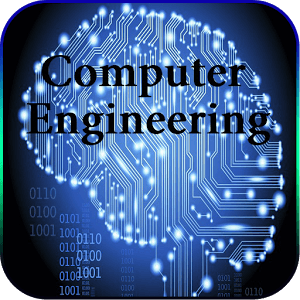 computer science engineering - Padhaee "
can pursue in the field of computer science- By simply doing a 3 year Bsc with Computer Science or a 4 year B.E in Computers. Needless to say what is tougher,but the doing a B.Sc in computer science can give you broader choices for a post graduation, and even whilst doing college, you can gain a lot of extra knowledge by doing simultaneous courses or learning languages side by side. Computer engineering shares more than 50% of the course and syllabus as I.T Engineering,read about that here. In this way after about 4 years, you end up with a more all round view of computer languages as compared to what you will learn in B.E.Computers. In B.E Computers you have the huge task of getting through the first year F.E that is common to all branches and is extremely tough. Most students drop out after the first year itself, and in my opinion is a test to what the rest of the 3 years are going to be like, even though in reality things get much easier after first year. Some of the subjects that you will encounter in the second year computer S.E are Database Management systems, Discrete Structures and operating systems. As far as academic s go, it is one of the easier branches of engineering and has one of the highest pass percentage rates in most universities in the country. This is probably the reason that since 1999 it has remained one of the most in demand streams to get admission into. Computers and I.T that was introduced in late 90s continue to be the first choice for students, and their syllabus of the both are almost identical except for I.T engineering relying a little more on web technologies and java. Another reason for Computer Engineering being the number one choice, is its high payroll offered to graduates by companies like TCS, Wipro and Infosys that are in the business of software solutions outsourcing for offshore clients. Architecture. Besides B.Tech, M.Tech and Ph.d can also be pursued at IIT. makes it so appealing to many people. Thank you for give very good info. Your website is cool and comp engg is best of all go comps!